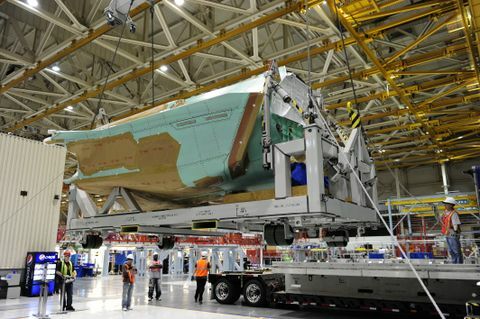 PALMDALE, Calif., April 2, 2012 -- Northrop Grumman Corporation's (NYSE:NOC) first F-35 center fuselage produced by its Integrated Assembly Line (IAL) was delivered to Lockheed Martin on March 16, 2012. While the company has delivered 69 center fuselages since 2005, this is the first produced using the IAL. The IAL maximizes robotics and automation, providing additional capacity and assembly capability while meeting engineering tolerances that are not easily achieved using manual methods. 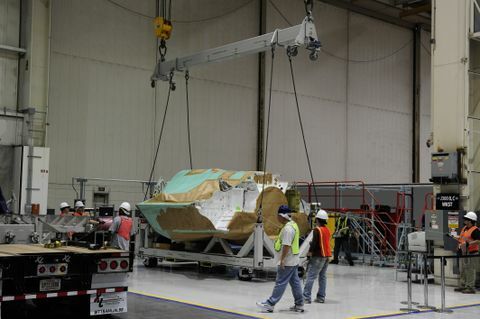 The IAL design uses a system-engineering approach to integrate tooling and structure transport, system automation, automated drilling cells and tooling mechanization coordinated across multiple build centers.